The Vibram Sole Factor Mobile Lab will be resoling shoes on the tradeshow floor during the Outdoor Retailer show in Denver, November 8-11. Vibram’s new technology, Litebase, debuts with several partner brands in Spring 2019, and will be available as a resole option during the November show. Litebase is designed for ultralight performance and serves to cut the sole weight by up to 30% while maintaining exceptional grip and durability, said the company. 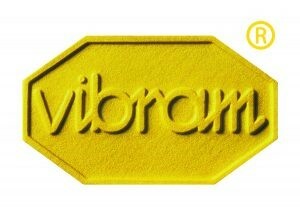 The technology will be offered in conjunction with Vibram Megagrip at the show. Brands such as Scarpa, Vasque and Dynafit have adopted Vibram Litebase technology with Megagrip for hiking, trail running, and vertical running. Altra will also debut a trail running shoe featuring Vibram Litebase with Megagrip at the November show. The Sole Factor Tour continues to raise money for the Conservation Alliance at Outdoor Retailer, with a suggested donation of $25 per pair.